Study your organization’s vision/mission statement (clearly identify why your team exists in light of this statement). Identify the key milestones your team has accomplished over the last one to five years (the highlights and lowlights). Describe what has happened in the organization and what decisions have affected your team over the last one to five years. Assess the current state of your team. Report the data and anecdotal evidence regarding the “multiple bottom lines” your team dealt with. Assess processes your team used to achieve those outcomes. Summarize the assessment of your team with a SWOT statement. Identify goals that would represent successful resolution to your current problems. Exercise awareness: Which problems deserve attention? Exercise analysis: What are the chief causes of the problems? Consider alternatives: What could be done differently? Plan action: Who should do what with whom by when and how? Envision the direction and new elements of your future. Identify likely future demands that your team may have to respond to. Picture your ideal/preferred future: What would this team be accomplishing if it were fully living up to its potential? Brainstorm new features/directions for your team. Envision the milestones you would achieve. Plan the actions/tactics needed for implementation. Identify the forces for and against the new and improved team. Identify the strategies to capitalize on the forces for the team. Identify the strategies to reduce the forces against the team. Identify the steps that must be taken to implement the plan. Identify who is responsible for which elements of the plan. Identify a time for achieving the elements of the plan. There are three main problems likely to be encountered with patient flow at any hospital. These are: 1) scheduling, 2) inflexibility of the layout of hospital facilities, and 3) the functional or “silo” mentality between departments. 1) Smoothing out schedule of capacity of value streams across capacity constrained resources, such as operating rooms, is a theme common to all Lean implementations. One example of a barrier to flow is the lack of beds. One root cause of slow turns of beds is a delay in discharge. The root cause can be something as simple as scheduling discharge times at the convenience of the physician rather than based on the pace of customer demand or a target turn time for beds. Not having a bed available creates the waste of waiting for the patient, motion for the nurses who must search for an available bed, transportation for the patient who must be relocated to the bed, and extra processing to make sure the charts, meds and resources are diverted to the new location. A common goal must be set to improve patient flow and increase velocity so that competing interests can be resolved and behaviors can change. 2) Compared to a factory layout where equipment and even non-structural walls can be moved with ease to accommodate improved flow, hospitals tend to be multi-story, multi-building structures with complex infrastructures that do not lend themselves to a quick rearrangement processes to accommodate patient flow. Although the best opportunities are to take advantage of new construction or remodeling, we are seeing hospitals that are willing to remove physical walls and convert room, offices, and storage space to accommodate patient flow. 3) As in any industry, a strong “silo” mentality exists in hospitals between the facilities a hospitals provide, physicians, specialists, RNs and staff all trying to optimize their part of the value stream of providing care without looking at it from the perspective of the patient. This must be addressed long-term through a team approach and conversion to value stream management. Patient flow is an exciting area of Lean Healthcare, as it holds the promise of lower costs, improved quality of care, and a better patient experience for all of us. The consultants in our Lean Healthcare practice are speaking with an increasing number of hospitals and healthcare organizations interested in Lean. As we all know, healthcare costs are high and patient wait times are long. Anyone who has had experience sitting in a waiting room, examination room, or in a hospital bed can attest to the fact that there is a distinct lack of flow in the way healthcare is provided today. One of the key ideas in Lean is to increase velocity, or the amount of profit generated over a period of time. Velocity is increased by examining the revenue generating sequence of activities called Value Streams. When waste such as delays, errors, transportation, motion, and so forth are eliminated from these operations what remains is the ability to provide the same value in less time. Flow is the key to increasing velocity. Assuming that assets such as beds, medical equipment, and surgery rooms are fixed, the revenue generated through these over a set amount of time must increase. We usually cannot add resources without spending money. We cannot increase the amount of time available to us in a 24 hour day. We must increase velocity by speeding up the flow of value through the system. This is done by examining and eliminating the non-value-added and waste (muda) elements of the process of providing care. What is the impact of better patient flow for hospitals? As waiting time is reduced, the healthcare experience for the patient improves, reducing waiting time and speeding recovery. As patients flow from process to process (from sickness to health) beds turn faster, and more patients can be served. More patients served equals to more revenue for the hospitals. By increasing revenue with the existing fixed costs (rooms, beds, overhead) hospitals can increase profitability. The first step is to identify the healthcare value streams that are the target of conversion to flow by asking the following questions of process and service mapping: What types of care does the hospital provide? What volumes of patients are experienced for each? What are the resources needed for each? What is the sequence of steps to provide care? Then, we design a ‘just in time’ system through a relationship of “one-piece pull” of work (patients, samples, x-rays, etc.) at the pace of customer demand (takt time). We do this through a live simulation by walking a patient through the process of care without delay, one at a time. The results are documented, challenges and problems are identified, and a system to support smooth patient flow is defined. There is a “petition” that is building momentum in the Healthcare industry – “We need to become Lean…” Although the need has been there for some time, the direction (the how-to) has been nebulous and ill-defined. “We are unique,”~the healthcare practitioners. With the change in the healthcare structure, and the rules set forth by administration most believe it is virtually impossible for hospitals to become lean. Yet they are highly aware that something needs to change in order to provide the highest of quality to patients. The foundation of Lean is the elimination of waste through continuous improvement initiatives. Anyone who works in the Healthcare industry, or even those of us who have been on the receiving end of healthcare, knows that there is countless waste in the industry: from long waits to astronomical costs, from lack of standardization, inordinate quantities of inventory, massive amounts of paperwork, errors and the one we all love to hate REWORK. The very recognition of these inadequacies in the existing system(s) means that Healthcare practitioners have already begun the first step of Lean – seeing things more clearly, and realizing that you CAN improve. Lean simply provides the tools that allow you to attack the individual problems through a structured and systematic approach. One of the major differences in the healthcare industry, versus say, manufacturing, is the potential consequences. In manufacturing, if we make mistakes, the cost translates into lost time and money. In Healthcare, however, mistakes can translate into “life or death”. Therefore, and most assuredly, because of this fact, it is all the more important for the industry to “Face their fears” and start looking at the systems/processes that allow errors to occur. 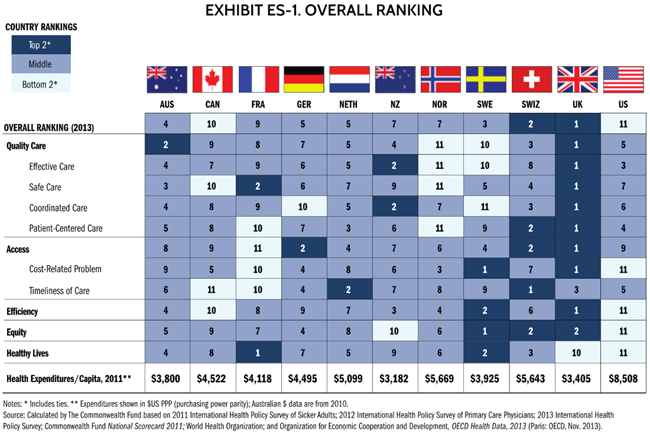 Healthcare Cost Ranking for leading countries. Cost is high and quality is low, of course we would recommend a lean approach (we’ve already done the research) but even if Hospitals decided against it, our question is… What Will They Do? Currently many healthcare organizations spend months (sometimes years) and hundreds of thousands of dollars on assessments and analyses by large, over-budget consulting firms. Many consulting firms, however, have a deathly fear of implementing any of the recommendations made within their assessments and analyses. They fear the creation of liability issues during implementation, and implementation is not as lucrative as performing assessments and analyses. The healthcare organization then fails to implement any real improvement measures because it lacks the expertise from within to facilitate the implementation activities. Not to mention adequate resources and time are not allocated to the improvement effort. Additionally, the approach to improving a given process often focuses on improving the value-added elements of the patient treatment processes; without any focus given to the non-value-added elements. These non-value-added elements prolong patient lengths-of-stay, maintain high healthcare facility operating costs, restrict bed availability, and sometimes negatively impact clinical outcomes. Focusing on the value-added elements results in minimal profitability gains being realized, while patient satisfaction continues to be severely impacted. Process improvement is implemented within the patient treatment value stream through our facilitation of a series of Kaizen events. These events typically last from one to three weeks in duration. The results are significant, sustainable gains in treatment throughput, patient lengths-of-stay, clinical outcomes and operating costs within a very short time. Being that significant improvement is accomplished through a team approach with those involved in the treatment processes, a buy-in of the new processes by the healthcare facility staff is achieved, adding to the sustainability of the process improvements. Sustainability is further ensured through the development and implementation of a sound performance measurement system. This measurement system drives the staff’s behavior that produces the desired outcomes in keeping with the organization’s vision, mission, goals and objectives. Identify your Value – define value from the perspective of the customer. Express value in terms of a specific product, which meets the customer’s needs at a specific price and date. Map the Process – the set of all specific actions required to bring a specific product through the three critical management tasks of any business: the problem-solving task, the information management task, and the physical transformation task. Create the map of the Current State and the Future State of the value stream, Identify and categorize waste in the Current State, and eliminate it. Implement Flow – Make the remaining steps in the value stream flow. Eliminate functional barriers and develop a product-focused organization that dramatically improves lead time. Create Pull – Let the customer pull the products as needed, eliminating the need for a sales forecast or continuously producing parts with no defined system. Strive for Perfection – There is no end to the process of reducing effort, time, space, cost, and mistakes. Return to the first step and begin the next lean transformation, offering a product, which is ever more nearly what the customer wants. A Lean Enterprise is a Company that continues to improve all its processes from Administration – Sales – Engineering – Manufacturing by eliminating ALL Non Value Added steps or WASTE (MUDA), using the Lean 18 elements as a frame-work for methodology and consistency throughout the Enterprise. Be sure to follow us on Twitter @Gdc_Tbs and now Facebook https://www.facebook.com/GDC.TBS ! This Case Study was conducted in March of 2005. We’ve recently carefully reviewed several health and hospital articles and it appears that infections related to hospital accidents are still at an alarming rate. Even with prevention practices set in place, hospitals still had a staggering 5% infection rate, one of the most critical areas to reduce the infection rate is the hospital operating room. While a human body is open and exposed in an operating room, the chance of infection increases greatly. 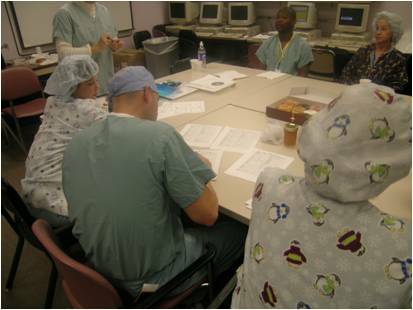 The improvement team therefore started implementing Lean Conversion techniques to four connecting operating rooms, or commonly referred to as a POD. 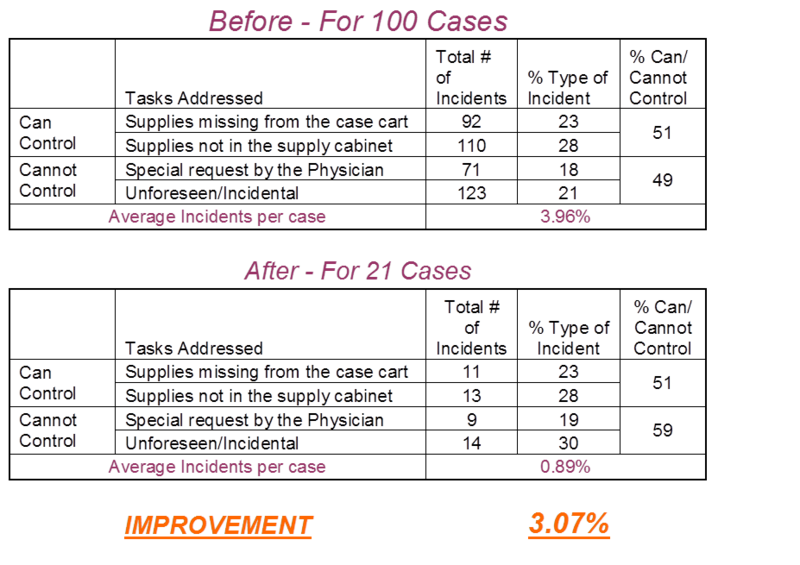 With the assistance of Lean Sensei Curtis Walker of GDC Total Business Solutions, tools and systems were put in place to drastically reduce exposure to infectious disease. Lean Conversion has many tools that can be utilized across various industries. The healthcare industry has recently realized it is time for improvement! For years the industry has been struggling to provide customer service at an economical price. With the current situation, hospitals are finding it necessary to compete amongst each other, which means that the institutions must improve their current practices to provide superior, cost- effective care for patients. The industry has turned to Lean Conversion and Six- Sigma to bring continuous improvement tools and activities to their organization. This is a system used to regulate amount of supplies on-hand. It is a visual system that has a trigger to alert when inventory has dropped below the re-order point. The system ensured that all supplies were stocked and available during the surgical procedure. This tool is essential for the successful implementation of the kanban system. The Runner is the person who monitors and adjusts the system to ensure that it is up-to-date and accurate. Curtis Walker reviewing the project. GDC Total Business Solutions Curtis Walker, working with the hospital teams produced very impressive results by implementing Workplace Organization (5S) tools. 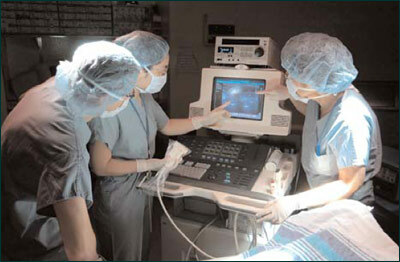 The results were sustainable, continuous and respected by the hospital management team. Today’s Health industry continues to face problems such as these as well as others. The change in health care coverage along with the growth in new diseases, makes it critical that hospitals begin to increase preventative methods and improve their processes.